Great news for Star Wars fans worldwide! 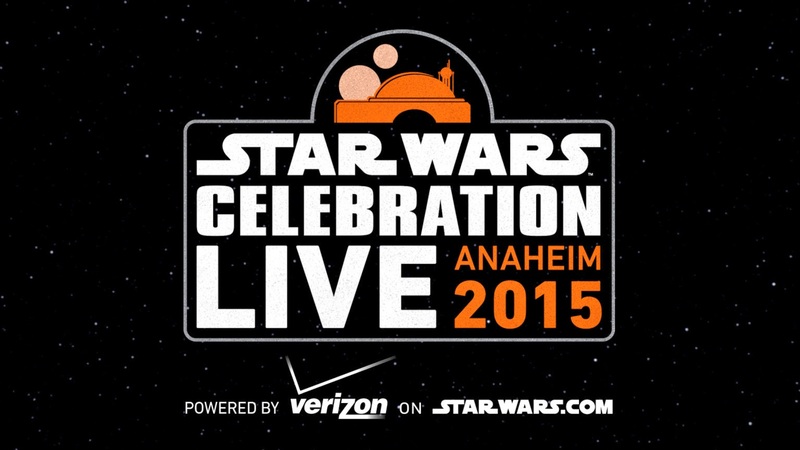 If you can't attend Star Wars Celebration get the next best thing! Stream coverage live from StarWars.com! As a note Jedi Mouseketeer/Sorcerer Radio correspondent Ryan Hurley (twitter.com/figdonpat) will also be covering the event posting pictures and video as well as guesting on Sorcerer Radio's WDW Tiki Room podcast and WDW After Dark webcast. Take a look at the press release below for all the Star Wars action taking place this week! CAN'T MAKE IT TO ANAHEIM? DON'T WORRY -- STARWARS.COM IS HERE TO RESCUE YOU! The live streaming begins at 10:00 a.m. PST, Thursday, April 16, on StarWars.com with the Celebration kickoff panel and continues with 30-plus hours of coverage through the closing ceremony on Sunday, April 19, beginning at 3:30 p.m. PST. Watch exclusive highlights and on-demand clips from Verizon on Twitter, @VerizonWireless, and at Facebook.com/Verizon.